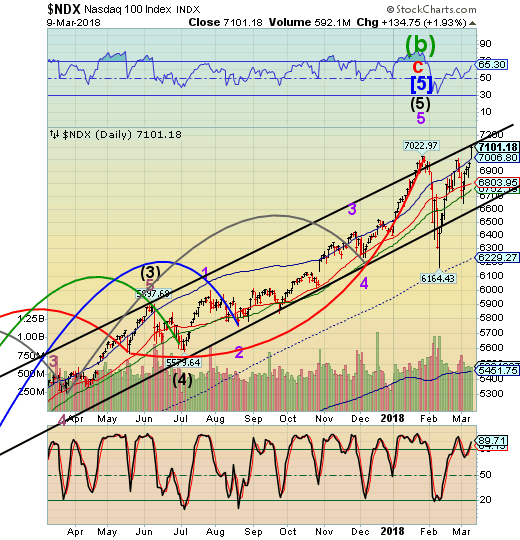 Has the Stock Market Rally Run Out of Steam? On Friday, SPX closed short of the upper Diagonal trendline near 2800.00. weekend, SPX futures rose to 2805.00, then backed away. It is possible that the futures completed the task of testing that trendline over the weekend. NDX futures also rose to 7175.25, but have fallen back as well. There appears to be trendline resistance near 7150.00. We shall see if it holds. NorthmanTrader has some observations to help us this morning. 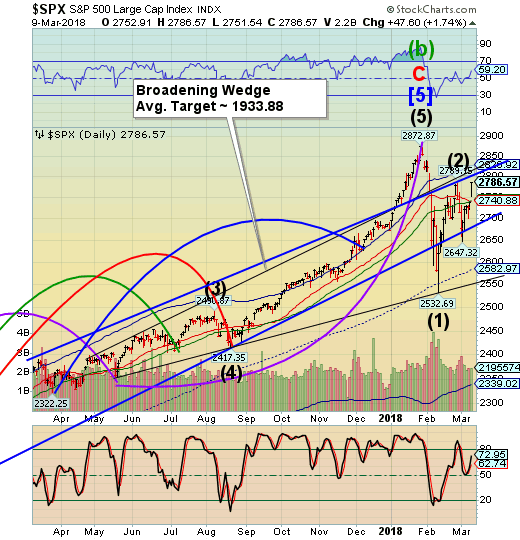 “It was a good week to be bullish and the buying was ferocious and on the surface it appears that bulls won a major victory and bears look to have flailed again. Correction over. New highs on Nasdaq with $SPX recapturing all key moving averages including the 50MA, the 21MA, the weekly 5EMA and all is looking rosy again. Next week bullish OPEX, a sheepishly dovish Fed again the week after and then mark-ups for the month and quarter end. One can firmly smell the standard bullish seasonal script. 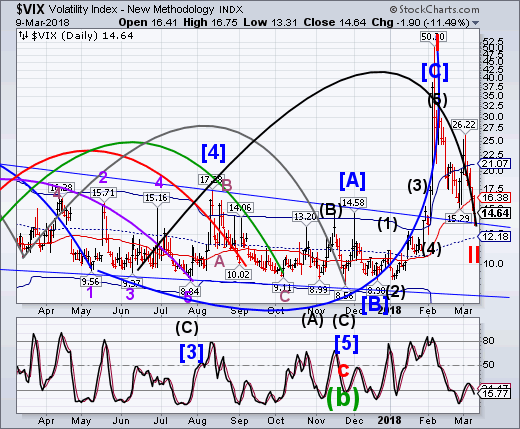 The glaring non-confirmation comes from the VIX futures which have just climbed to a high of 15.57. 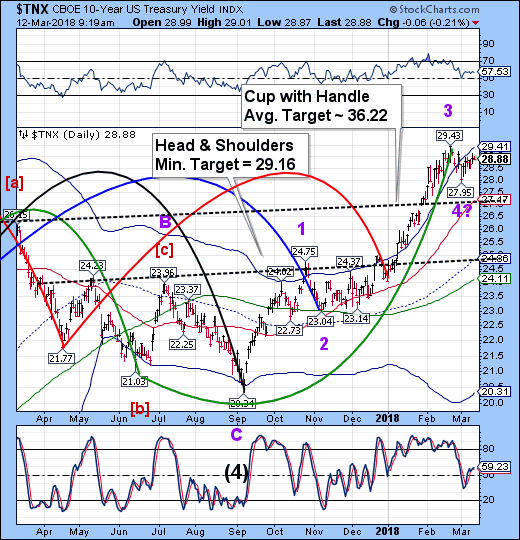 The 50-day Moving Average is at 16.38, which is an actionable buy signal. TNX futures are still hovering near the high. The Fed is preparing to sell $145 billion of 3-year and 10-year paper. That may be the canary in the coalmine. Bloomberg reports, “Add one more thing to the list of worries for the world’s most indebted nation: weakening demand at its bond auctions. As usual, I will be posting more on my website.